The Raiders are coming. Be part of this historic move and show your support of the Raiders by purchasing your Raiders license plate. Available NOW, the Raiders license plate can be purchased for $62.00 with $30.00 from each plate sold benefitting the Raiders Foundation. 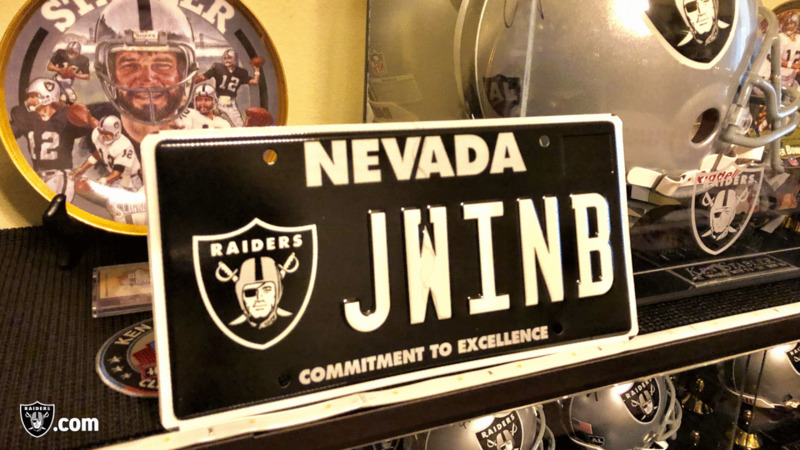 The Raiders license plates can also be personalized for an additional $35.00 annual fee. Show your Raiders pride, and with your donation to the Raiders Foundation, you’ll be investing in the future of Nevada. ORDER ONLINE AT: dmvnv.com/platescharitable.htm or visit your local Nevada DMV office. Fill out the form below to stay informed on The Raiders.